← Reminder: Packing Meeting on Monday, 9/22! 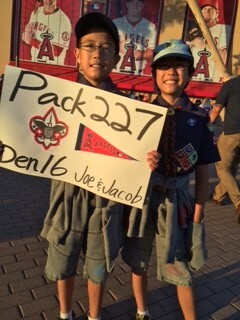 Friday, September 19th was Scout Night at Angel Stadium. 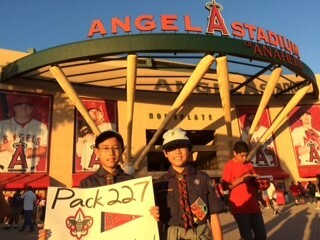 Pack 227 was there in force. Everyone had a great time, despite the Angels’ loss. Pictured are Joe and Jacob Trend from Den 16.